It’s tour season and two of my favorite tours–the San Francisco Designer Showcase and the Garden Conservancy Tours happen this month. The Showcase House runs through May 28 and the Garden Conservancy Tours run in May and June in the East Bay, Marin, Santa Cruz and Mendocino. 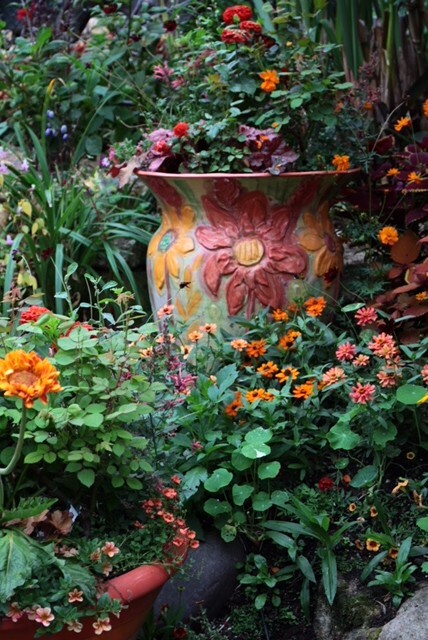 This Saturday, May 12, take your mom to the Garden Conservancy tour happening in the East Bay. 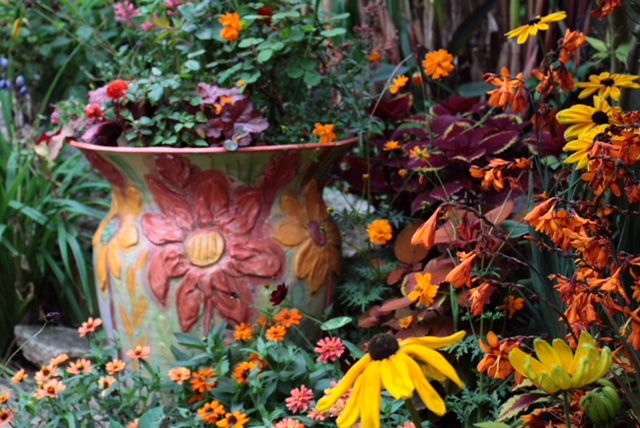 One of the four featured gardens is landscape designer Keeyla Meadows‘s garden in Albany. 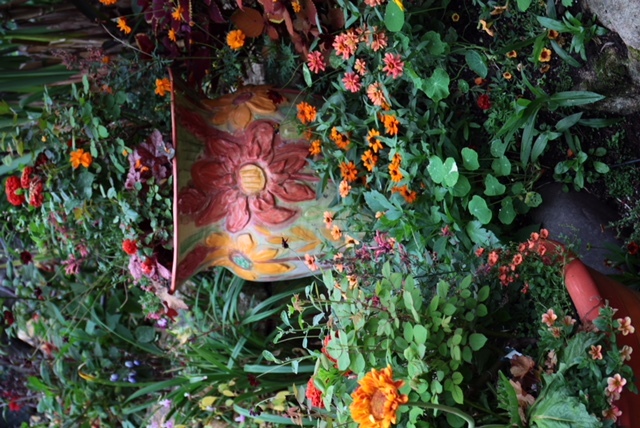 Full disclosure–Keeyla is a friend and also designed my garden. 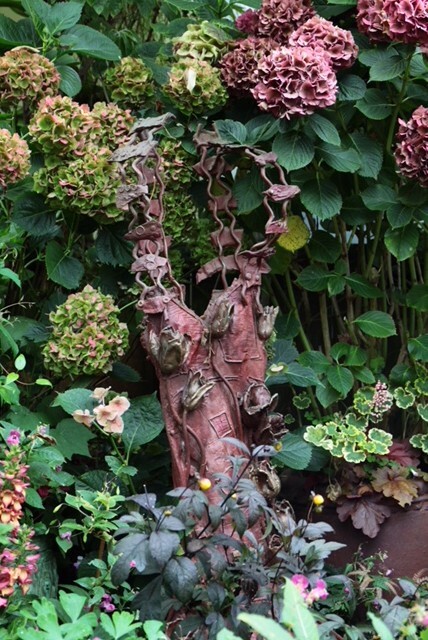 She’s a multi-faceted artist and her garden is always a delight to visit. 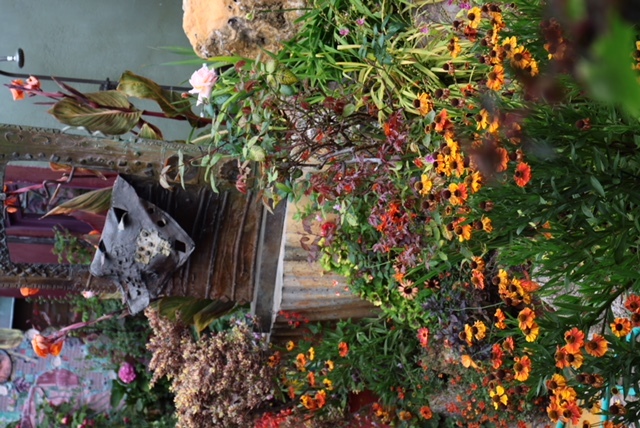 Look at these beautiful blooms planted in colorful pots or in front of fabulous sculpture all made by Keeyla. Think Monet meets Gaudi. 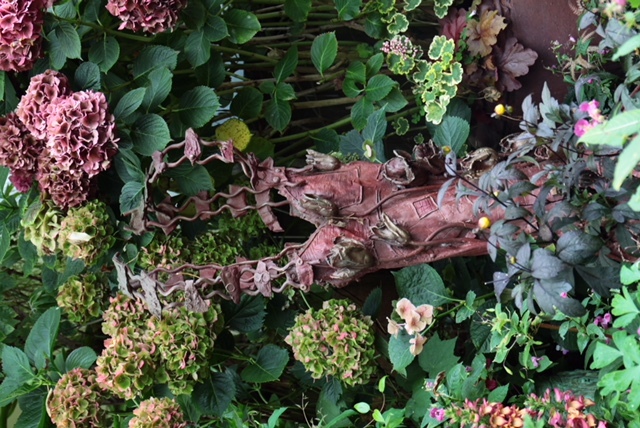 Find out more about Keeyla’s garden and the tour in this recent SF Gate article. I’ll be working as a docent in Keeyla’s garden Saturday. Hope to see you there! 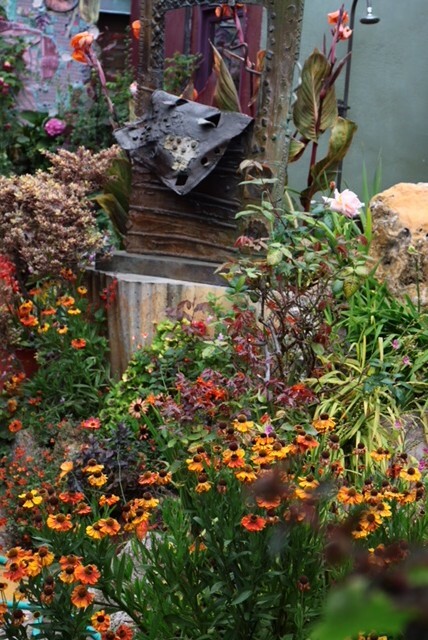 This entry was posted in Shelter, Style and tagged Bay Area, design, flowers, gardens. Bookmark the permalink. Post a comment or leave a trackback: Trackback URL. I have never gone on a garden tour. I think I have to find a way to change that!